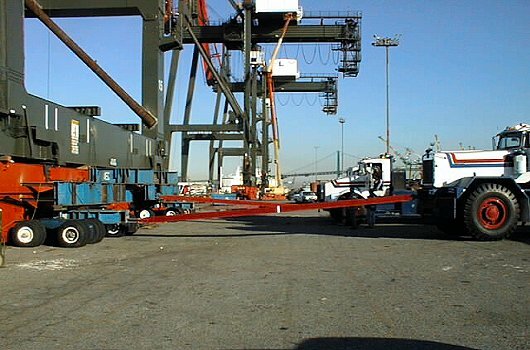 A 27 year old Hitachi container crane needed to be relocated from one berth to another berth, both within Los Angeles port limits. 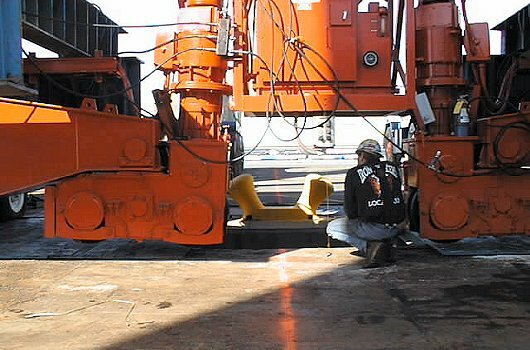 The 800 t heavy crane was lifted off its rails using hydraulic dollies. Propulsion was provided by three large trucks. 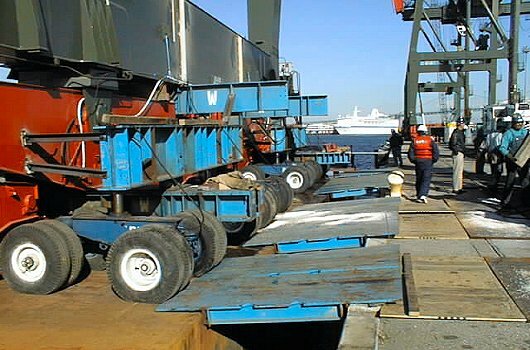 A Crowley 400 x 100 x 20 ft cargo barge was chartered for the move. Steel bridge pieces spanned the gap between the barge stern and the quay. 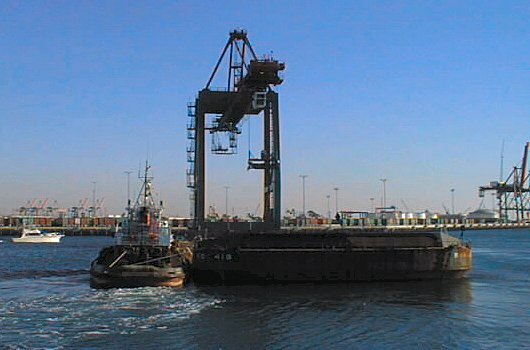 On December 10, 1999, with incoming tide, the crane was rolled onto the BARGE 419. The barge was then ballasted down to ensure safe passage under the Vincent Thomas bridge at low tide later that same day. 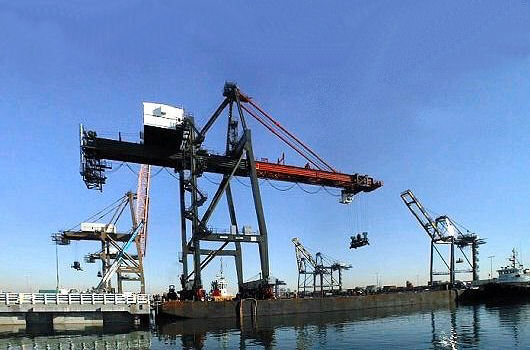 Next day, at the beginning of the outgoing tide, the crane was safely rolled off the barge and lowered onto its rails at the new berth.